Did you know, origami-inspired 3D geometries constructed with advanced materials have a broad range of applications? The next Monte and Usha Ahuja Distinguished Lecture features the discussion of the fabrication of complex architectures based on those found in nature and highlight their applications. 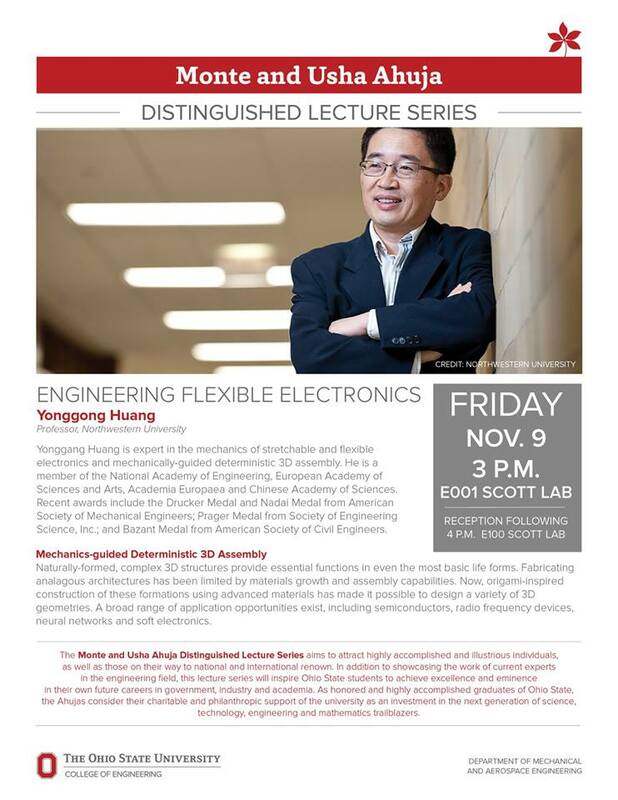 Electrical and Computer Engineering students and faculty are encouraged to join the Department of Mechanical and Aerospace Engineering for a presentation featuring Yonggang Huang, of Northwestern University, titled “Mechanics-guided Deterministic 3D Assembly” on Friday, November 9, at 3 p.m. in Scott Laboratory room E001 (basement). A commemorative plaque will also be presented, and a light reception will follow at 4 p.m. in room E100.